I thank that I am at least upto blogging. A stress reliever, I would say. When the kid takes his afternoon nap, I would be there in front of my laptop, composing a post or bloghopping with my cup of hot coffee to give me company. And then there is baking. A comforter in fact. I bake when I am happy, I bake when I am down, I bake for birthdays and I bake for my son... And the 22nd of every month is a pretext for me to bake. Its a ritual but that does not mean that I have to bake, I could make sweets too but I bake, just another pretext. Its been a long time since I made a chocolate cake and so I knew immediately what I would bake for the 22nd. Also the beetroot puree that was sitting in my fridge had to be put into use. 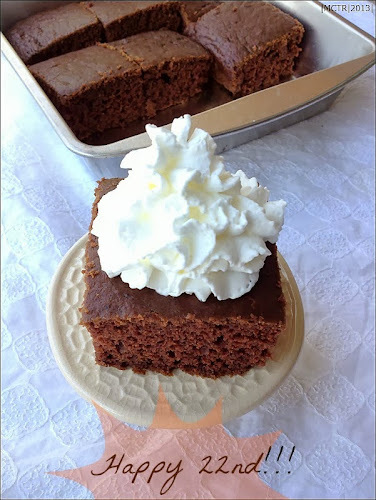 I have seen recipes combining chocolate and beetroot in cakes and so was browsing for some easy recipes. And talking about the beetroot puree, that is another story which I will be sharing in another post. 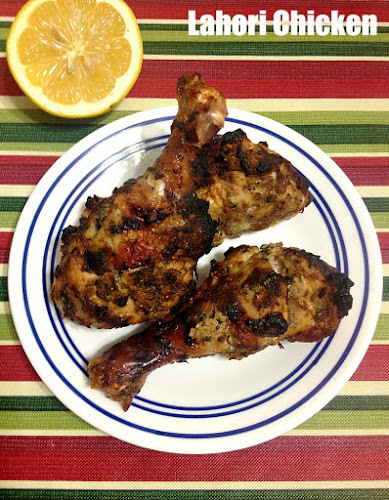 I came across this recipe accidentally in one of my facebook food communities and the ease of the recipe got me hooked to it. Its simple, healthy and the result is soft, moist and yummy cake. I used unbleached all purpose flour but to make it all the more healthy use wheat flour just as the recipe tells. Preheat the oven to 350 F. Grease and flour a 8x8 inch square pan. In a mixing bowl, combine the flour, cocoa, baking powder, soda and salt. Whisk well. In another bowl, mix butter and sugar and beat till light and fluffy. Next add the pureed beetroots and buttermilk and mix well. Add this to the dry ingredients and fold gently. Pour this into the greased cake pan and bake for 30 mins or till done. Cool completely and slice. Serve warm with some cold milk!!! I totally understand Vimi, I had gone through that phase. But then life is always greener on the other side you know. Now I miss those times sitting home with my sweet little ones which now I dont have time at all. Enjoy this period till you are back to that challenging world!!! Btw Chocolate Cake looks delicious and very good use of the beet !! whatever you have written is true vimitha.. even i felt the same when i left my job but in your case its different.. enjoy you time till u are there :) btw like this yummylicious cake.. Healthy and tasty looking Chocolate Beet cake. Excellent preparation. 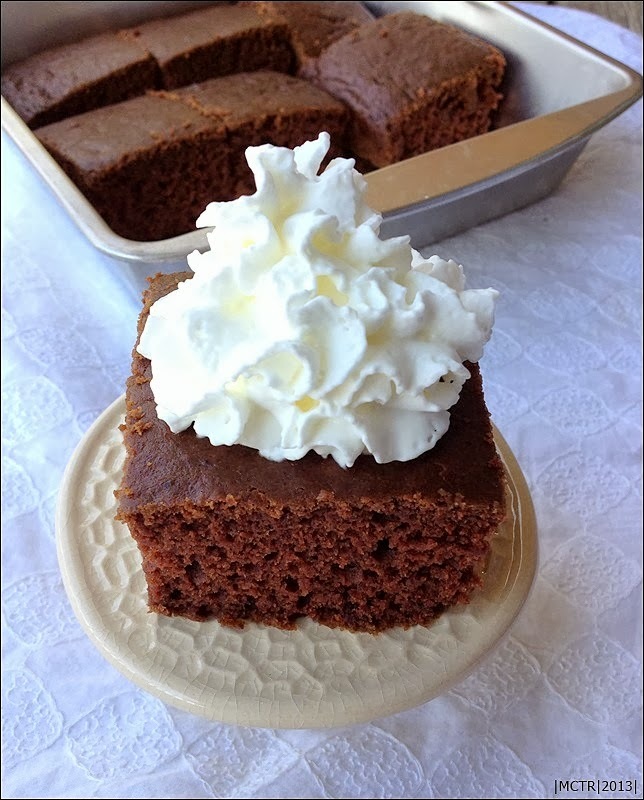 super moist and delicious cake Vimitha, a must try, thanks for sharing! softyy soft cake.. love the texture totally..
To have ur own life other than home is really good ...but nevermind u r spending ur time with ur sweet lil one..thats precious too..I have been wanting to bake cake with Beet, thats onmy list..urs looks good ! healthy and tempting cake.. so yum! Lovely cake! I see what you say about "me-time".. Hard isn't it... But seeing the lil one laugh and play.. can't get this after a few yrs right.. so I am ok..
Hi Krithi, yes, end of the day, it is his smile, laughter and playfulness that completes you. 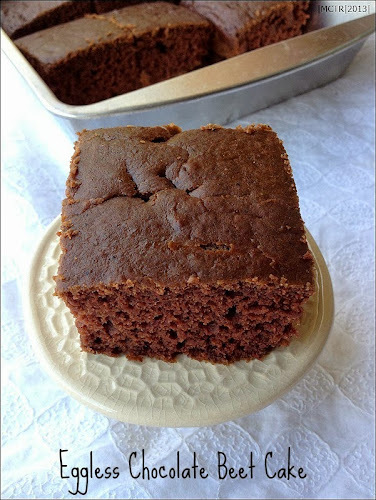 I get that but at times, out of the blue, I feel like having that "me-time"
Eggless beet cake looks delicious. Once the kids growsup you get more time. still then enjoy with them. I so hear you!!! Love the cake, and the idea of putting a beetroot puree in is fantastic!! Pretty attractive and very tempting cake..Love the addition of beets. Very good n tempting cake.Lovely combo of beet with Chocolate. wish to bake it right away. I have Greek yoghurt the with me.Pls suggest if and how can I make buttermilk frm it to be used in this cake. Hi Meenal, u can mix 3/4 cup plain yogurt with 1/4 cup of milk. Stir, allow to come to room temperature and use for buttermilk.